Boasts 38 Highway MPG and 29 City MPG! This Hyundai Elantra delivers a Regular Unleaded I-4 2.0 L/122 engine powering this Automatic transmission. REVERSIBLE CARGO TRAY, PHANTOM BLACK, CARPETED FLOOR MATS. *This Hyundai Elantra Comes Equipped with These Options *CARGO NET, BLACK, PREMIUM CLOTH SEAT TRIM, Window Grid Antenna, Wheels: 15 x 6 Steel w/Covers, Variable Intermittent Wipers, Urethane Gear Shift Knob, Trunk Rear Cargo Access, Trip Computer, Transmission: 6-Speed Automatic w/SHIFTRONIC -inc: drive mode select (normal, eco & sport), Cruise Control, Torsion Beam Rear Suspension w/Coil Springs. * Stop By Today *Come in for a quick visit at Lujack Kia/Mazda Used Car Center, 3707 N Harrison St, Davenport, IA 52806 to claim your Hyundai Elantra! Brilliant Silver 2019 Nissan Sentra S FWD CVT with Xtronic 1.8L 4-Cylinder DOHC 16V CVT with Xtronic, Char Clth.Recent Arrival! Boasts 37 Highway MPG and 28 City MPG! This Hyundai Elantra delivers a Regular Unleaded I-4 2.0 L/122 engine powering this Automatic transmission. SCARLET RED, GRAY, PREMIUM CLOTH SEAT TRIM, CARPETED FLOOR MATS. * This Hyundai Elantra Features the Following Options *Window Grid And Roof Mount Antenna, Wheels: 16 x 6.5 Alloy, Variable Intermittent Wipers, Urethane Gear Shift Knob, Trunk Rear Cargo Access, Trip Computer, Transmission: 6-Speed Automatic w/SHIFTRONIC -inc: drive mode select (normal, eco & sport), Torsion Beam Rear Suspension w/Coil Springs, Tires: P205/55R16, Tire Pressure Monitoring System Tire Specific Low Tire Pressure Warning. * Visit Us Today *Come in for a quick visit at Lujack Kia/Mazda Used Car Center, 3707 N Harrison St, Davenport, IA 52806 to claim your Hyundai Elantra! Boasts 37 Highway MPG and 28 City MPG! This Hyundai Elantra delivers a Regular Unleaded I-4 2.0 L/122 engine powering this Automatic transmission. PHANTOM BLACK, GRAY, PREMIUM CLOTH SEAT TRIM, CARPETED FLOOR MATS. *This Hyundai Elantra Comes Equipped with These Options *Window Grid And Roof Mount Antenna, Wheels: 16 x 6.5 Alloy, Variable Intermittent Wipers, Urethane Gear Shift Knob, Trunk Rear Cargo Access, Trip Computer, Transmission: 6-Speed Automatic w/SHIFTRONIC -inc: drive mode select (normal, eco & sport), Torsion Beam Rear Suspension w/Coil Springs, Tires: P205/55R16, Tire Pressure Monitoring System Tire Specific Low Tire Pressure Warning. * Visit Us Today *Stop by Lujack Kia/Mazda Used Car Center located at 3707 N Harrison St, Davenport, IA 52806 for a quick visit and a great vehicle! Delivers 37 Highway MPG and 28 City MPG! This Hyundai Elantra boasts a Regular Unleaded I-4 2.0 L/122 engine powering this Automatic transmission. QUARTZ WHITE PEARL, CARPETED FLOOR MATS, CARGO NET. *This Hyundai Elantra Comes Equipped with These Options *BLACK, PREMIUM CLOTH SEAT TRIM, Window Grid And Roof Mount Antenna, Wheels: 16 x 6.5 Alloy, Variable Intermittent Wipers, Urethane Gear Shift Knob, Trunk Rear Cargo Access, Trip Computer, Transmission: 6-Speed Automatic w/SHIFTRONIC -inc: drive mode select (normal, eco & sport), Torsion Beam Rear Suspension w/Coil Springs, Tires: P205/55R16. 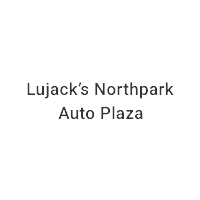 * Visit Us Today *Stop by Lujack Kia/Mazda Used Car Center located at 3707 N Harrison St, Davenport, IA 52806 for a quick visit and a great vehicle!